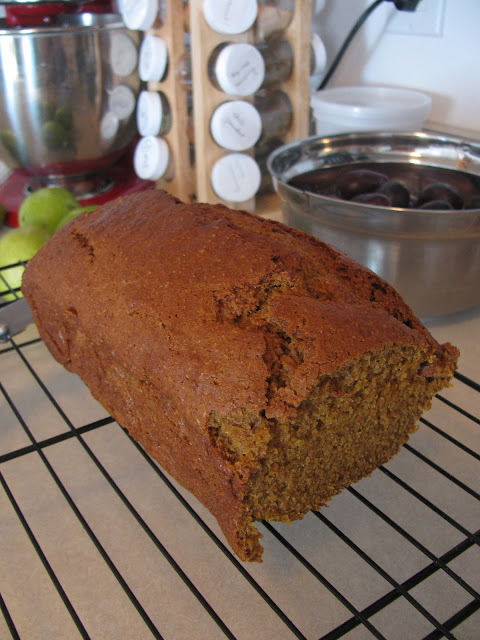 Pumpkin bread with chocolate chips is my FAVORITE breakfast for fall. I just ordered a whole case of canned pumpkin from our food co-op, so I will be making pumpkin bread and pumpkin pies all next month!! By the way, if you ever move back to NC, you need to get in on this food co-op. There's the regular discount of buying things in bulk, and then on top of that we get 17% off.